Is proud to be present with our parent and sister companies some innovative and effective Maritime Security support solutions. 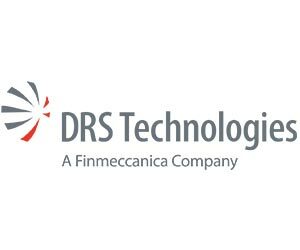 DRS Technologies is a wholly owned subsidiary of Finmeccanica SpA and aligned with Finmeccanica’s Defence and Security Electronics business sector. We are headquartered in Arlington, Virginia, USA and provide products for the defense, intelligence and homeland security markets. We operate facilities in the United States, Canada, the U.K., and Germany and we support customers and other constituents worldwide. The companies three business Groups (Maritime & Combat Support Systems, Command, Control, Communications, Computers, Intelligence, Surveillance & Reconnaissance, and Aviation, Communications & Homeland Security Systems) have a breadth and depth of product and expertise that matches well with the stated mission objectives in particular for the supply and sustainment of redeployable ruggedized community systems. Like Finemeccanica, DRS’s international mission has grown steadily in recent years and today our people and services are in operations worldwide with a very extensive network of subsidiaries, joint ventures, partnerships and industrial collaborations. The Groups develop, produce, deliver and sustain integrated products and systems designed for both government and commercial customers including the implementation of end to end lifecycle sustainment and support programs.